The Law Society of Northern Ireland has today warned home buyers of the potential risks of buying property at public auctions as the numbers of homes sold at auction in Northern Ireland continues to increase. The Society, which represents solicitors throughout Northern Ireland, is urging anyone planning on buying their ‘dream home’ at an auction to carry out all of their research on the property before the auction. 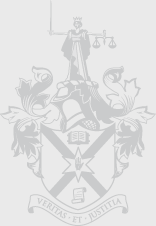 “The Law Society has been contacted by a number of local solicitors who have expressed growing concern of the lack of public awareness of the possible pitfalls of buying property at public auctions. We are increasingly hearing about members of the public who have purchased a property at an auction only to discover that their bargain property and dream home will require substantial work or may be subject to restrictions or compliance issues. What is evident is that there is a lack of public awareness that once that hammer goes down, attempting to back out because subsequent investigations reveal the property is not what you expected is likely to cost you your deposit and you could be liable for any losses the seller incurs as a result of having to re-sell. The public need to be fully prepared in advance when buying property at a public auction. This means getting a solicitor to check out the terms and conditions of the auction sale contract and also any legal anomalies or liabilities attached to the property that could ultimately impact on your plans once you have purchased. Having a solicitor carry out the investigative work before the auction will give you all the information you need in advance before making a major commitment such as a property purchase”.